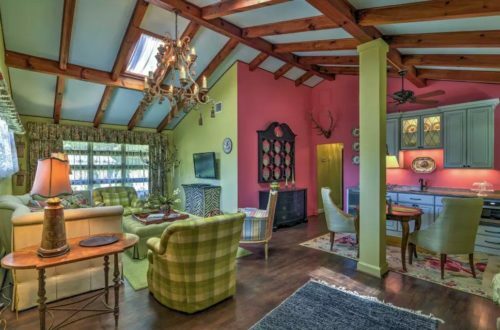 What is it that makes La Petite one of the most unique accommodations in Little Switzerland NC? We believe that it is all in the details! Every single inch of the property has been given the same level of care and attention to make this the ideal mountain getaway. Let’s take a look at some of the key details that make La Petite Chalet so special. It all starts the moment you enter the property with our vibrant living room full of one of a kind pieces you are going to fall in love with. We have opted for a real Parisian feel with the décor. Just some of the talking points in the main living room include a stunning Vintage chandelier and the comfortable assortment of chairs and couches just waiting for you to curl up in! Everyone who visits loves Victoria’s Room! 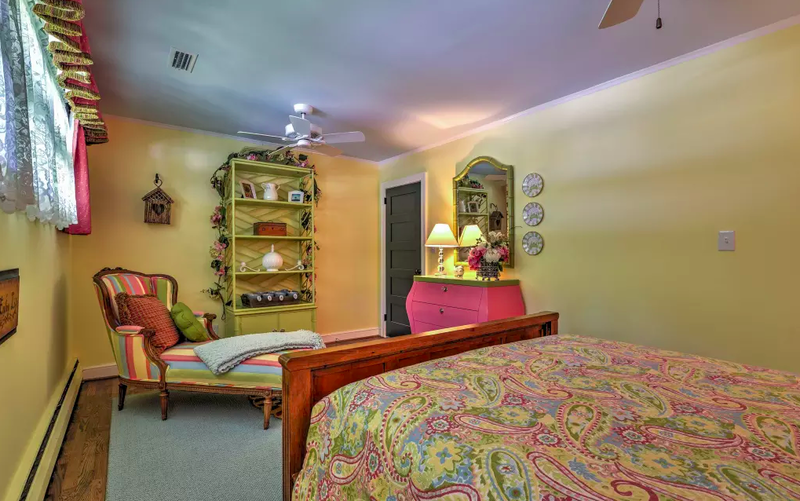 In our opinion, this is one of the most beautiful bedrooms you will find in any of the accommodations in Little Switzerland NC. The décor is inspired by MacKenzie-Childs and captures the same whimsical and imaginative style. You will be desperate to sink into the plush queen size bed or relax on the beautiful chaise longue. During your stay with us, this room will be your haven of relaxation. Our second bedroom has a completely different vibe to Victoria’s room! 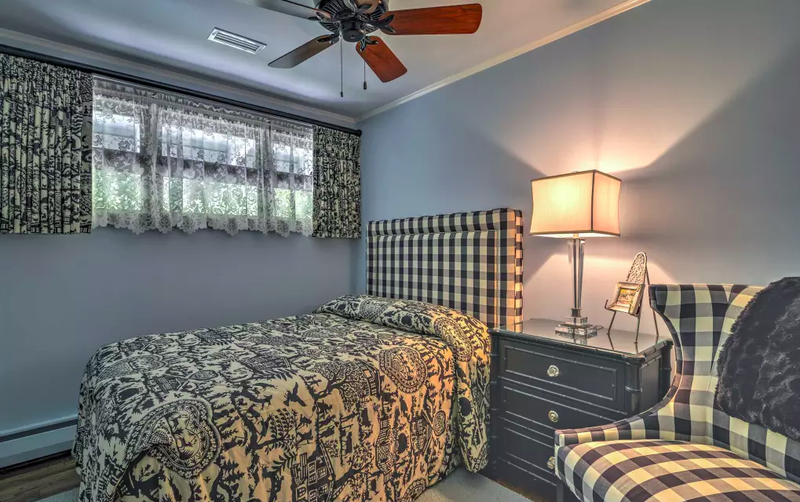 Richard’s room is just down the hall and features a classic checkered theme accented with a range of plush fabrics. The full-sized bed makes this another comfortable sanctuary to enjoy during your visit with us. 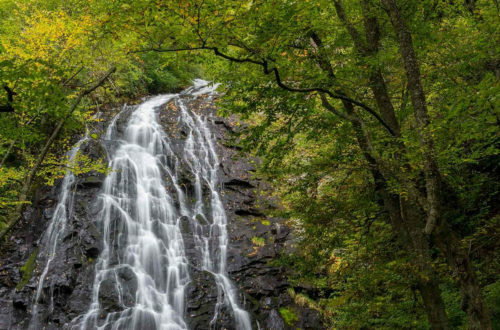 How many accommodations in Little Switzerland NC can boost a private treehouse? We cannot think of one aside from La Petite Chalet. It’s the perfect place to enjoy a morning coffee – or maybe even an evening glass of wine. The views are spectacular stretching out across Catawba Valley and the Blue Ridge Mountains. 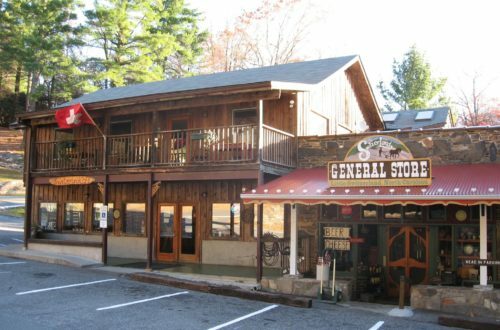 One of the most unique things about La Petite Chalet that makes it stand out from other accommodations in Little Switzerland NC is that there is as much attention to detail in the outdoor decor as there is indoors! During your visit make sure you take the time to walk the gardens and enjoy the hidden features including architectural pieces, outdoor art and of course, our inviting fire pit – the ideal spot to relax and make some s’mores at the end of a long day! Welcome to a little piece of heaven right here on Earth! 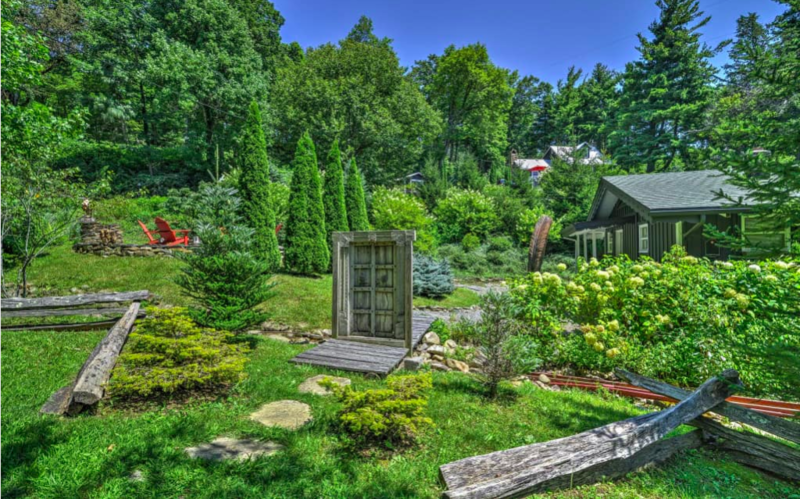 La Petite Chalet is the most idyllic Chalet Cabin Little Switzerland NC has to offer. The perfect spot for a romantic retreat of a mountain adventure! 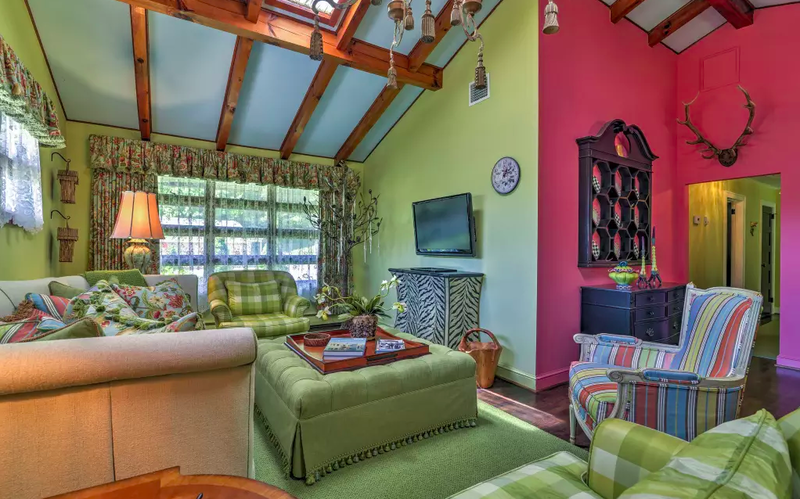 With stunning views of the Catawba Valley and Blue Ridge Mountains from the private tree house, you’ll soon fall in love with this quintessentially Swiss and fabulously French traveler respite. Book your visit today.